Chris reminded me this weekend that I haven’t blogged in a while and, feeling a bit guilty, I decided to write one. It’s not that I’ve forgotten or had nothing to write about. I’ve almost been too busy to write one and so much has happened, I haven’t known where to start. I should probably mention that I finaaaaaly got a ‘proper job’. A real, paid job in my degree field and have also moved to Bradford and bought a car for said job. All in all, my life has changed pretty drastically in the last couple weeks. A number of people have informed me that I’m practically a ‘real person’ now. A question I get asked a lot is, how will I fit all the climbing I want to do into this new lifestyle? Well to be realistic I probably can’t do the volume that I’d like (that would involve living in Spain all winter with a bottomless bank account), however, it’s great how much you can achieve on weekends. It’s also nice to be able to afford to go to the wall on weekdays and buy my favourite chocolate. Anxieties about how I was going to financially support myself and what the hell I was ever going to do with my life and would I ever ‘use’ my degree, were all heavy worries before Christmas. It’s a nice change to have that weight lifted. Now it’s time to do my best to enjoy weekends (and hopefully weekday evenings once it gets a little lighter). So what have I actually been up to on these short, precious weekends? 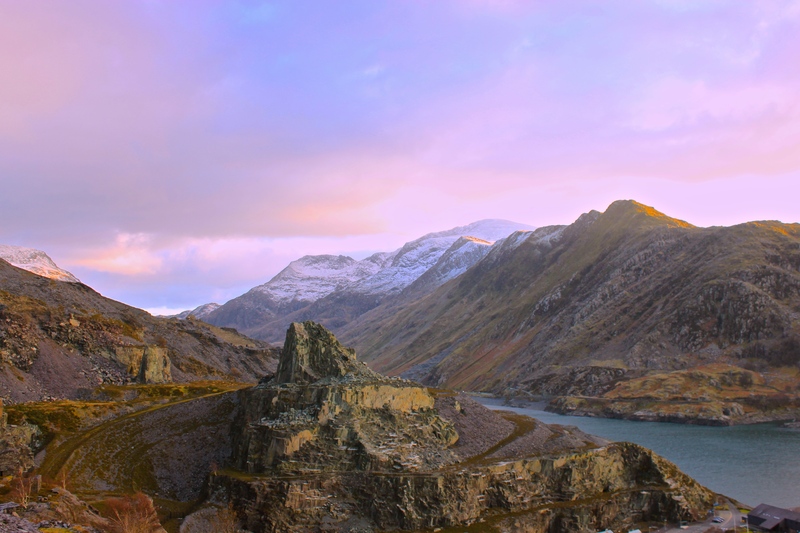 Three and a half weekends so far have been spent in the beautiful North Wales, mix and matching winter climbing, dry tooling, the slate quarries and Tremadog. Nothing hard but it feels very satisfying to be touching rock. 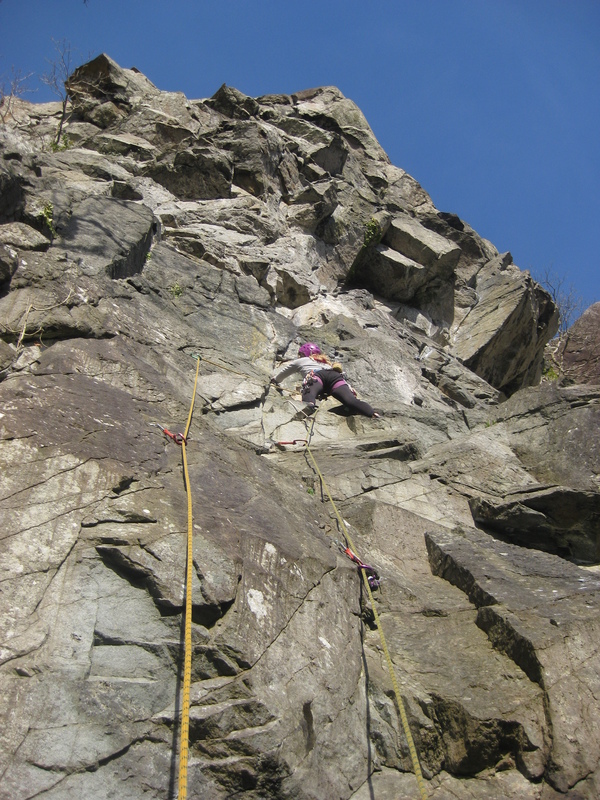 I used to write-off rock climbing in the UK during January and February when I was at uni… but now I’m older and wiser? 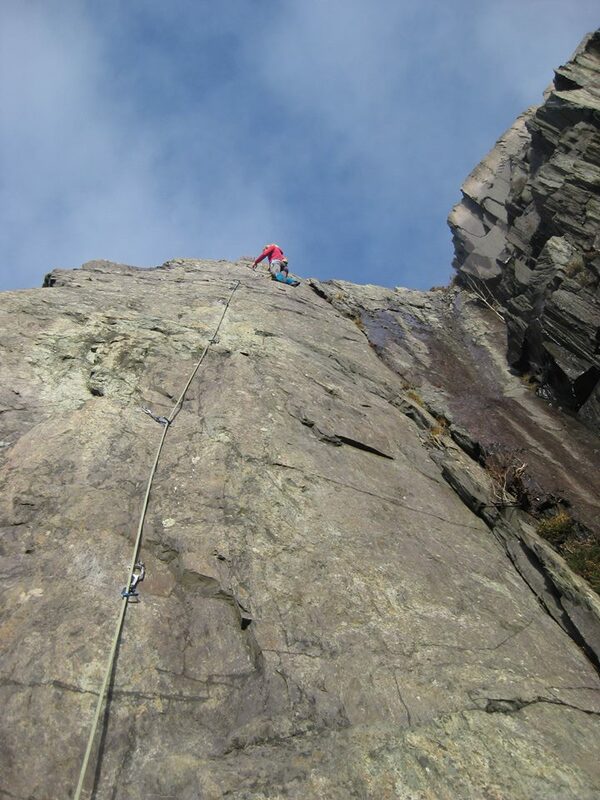 The winter, sunny days we’ve had on the slate and at Tremadog have been sweet. It doesn’t feel like the time to try and push myself on trad yet but it’s good to get the season’s ‘mental trad prep’ started early. I’ve also been dry tooling for the first couple of times – at White Goods near Ruthin. 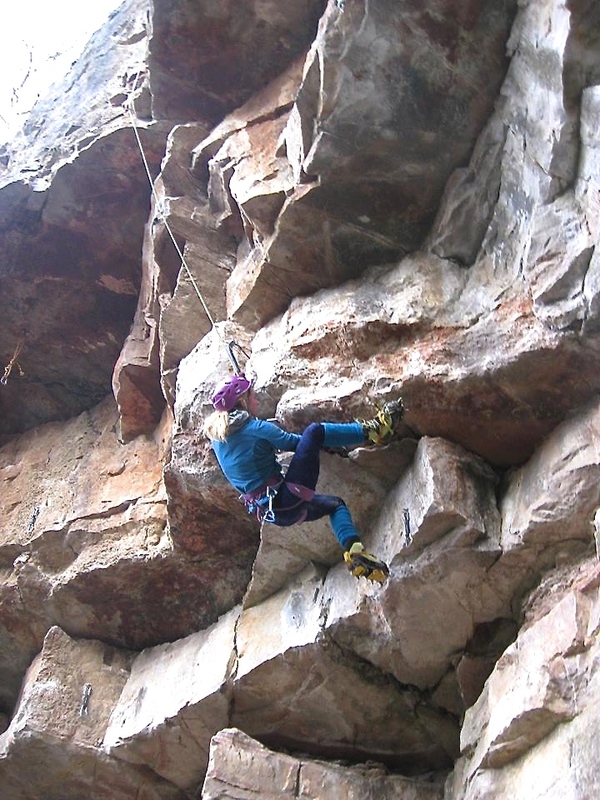 Having very little experience using tools, this type of climbing feels quite unnatural for me – I get perplexingly pumped and can’t seem to use many of the techniques I use on rock – trying to heel hook small edges in B3 boots is just a big ‘no no’. On my third visit I managed to top rope Jaz (M8) second go which was steep, fun, and generally quite enjoyable. Maybe I’ll try and lead something soon…when I figure out which crampon goes on which boot (just kidding, i’m not that stupid). 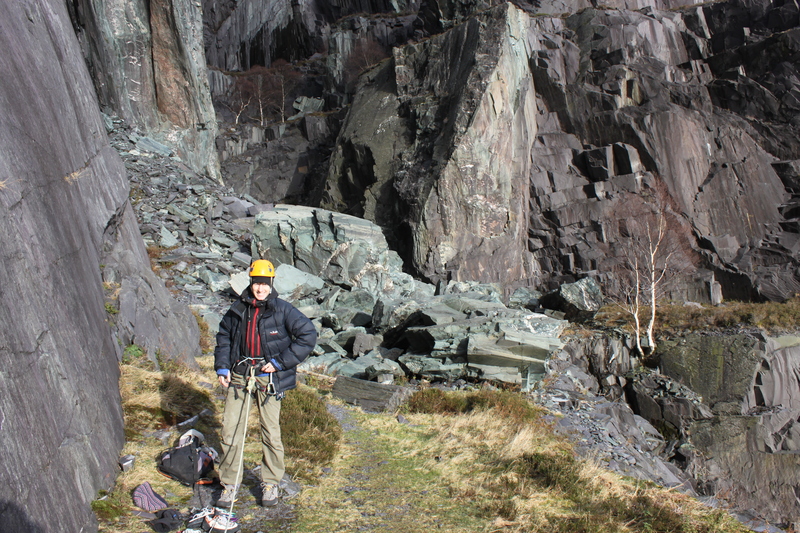 We have also been up to Clogwyn Du where I seconded Tim up Clogwyn Left Branch (V 5) and Cleft Gully (V 6). 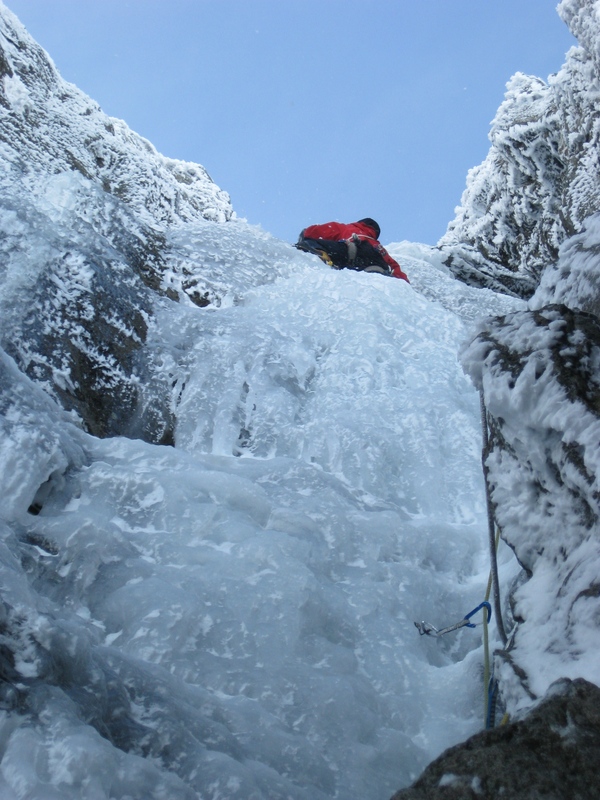 On the 6 section of Cleft Gully, which involved pulling through a small roof, I definitely would have have fallen off if I hadn’t had a few tooling sessions so that felt good! It was a perfect day.. In the near future, I’m excited to start exploring the local crags around west Bradford, and get a little fitter at The Depot. 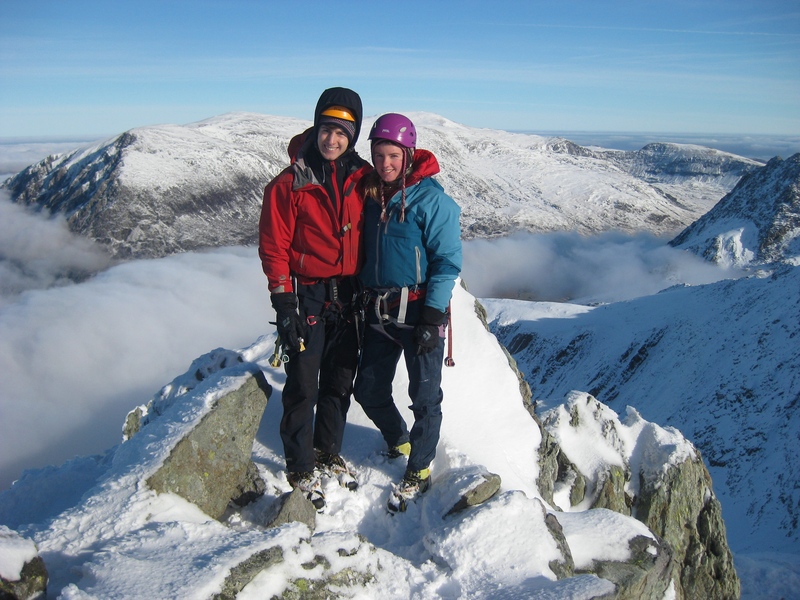 Tim and I are hoping to head to Scotland before it gets too warm and after that it’s going to be full rock season and getting excited for Pembroke at Easter. Not a bad February day on the slate.